Or at least that’s what you might think, the way everyone is clamoring to be eco-friendly. Concern about the impact the products we use may have on the environment and concern over the effects commercial chemicals may have on our health might influence your decision to make the switch to ‘natural,’ ‘green,’ and ‘eco-friendly’ products. Reducing, reusing, and recycling have never been more popular. Going green can change the way you shop, the way you eat, the way you get around, the way you clean your house, and even the way you deal with a mouse. Chewing wires, causing electronics and appliances to malfunction and increasing the risk of fire. 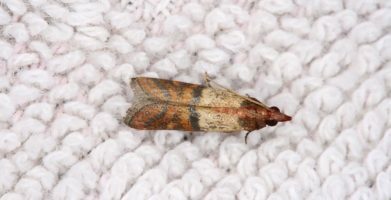 Nesting in insulation in attics. Chewing upholstery in vehicle interiors. Damages caused by rodents are rarely covered by homeowners insurance policies. Using poison to deal with a rodent problem used to be the go-to solution to this common problem. Anti-coagulants (blood thinners) such as warfarin and brodifacoum were the old standby. After decades of use, rodents began to build up an immunity to these chemicals. These “mutant rats” are causing serious problems in the United Kingdom especially. Some people are asking for permission to use stronger poisons, but that creates an increased risk to other animals such as owls that may then eat the poisoned rodents. Not to mention the eventuality that the rodents could just build up an immunity to the stronger poisons, repeating the cycle. Resorting to trapping unwanted rodents is hardly a better alternative. 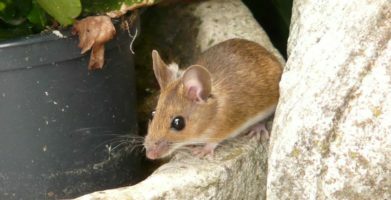 Although they are unlikely to develop any sort of immunity to a lethal snap trap, a sticky glue tray, or even a humane trap, none of these options keep rodents out – they only catch them once they’ve come in. You as a homeowner are left with the job of disposing of, or releasing, the rodent after it’s been caught, or paying a pest control service to do it for you. Rodents caught in humane traps need to be relocated several miles away to prevent them from returning. Snap traps do not always instantly kill a rodent, nor do glue traps. Trapped or poisoned, dead or alive, all of these methods revolve around dealing with rodents that have already made themselves a nuisance rather than preventing the problem before it begins. This sets you up for a recurring problem. These methods all require you to remove the rodent (or pay for a pest control service to do so), increasing your risk of exposure to diseases transmitted by rodents. Benjamin Franklin said, “An ounce of prevention is worth a pound of cure.” Wise words like these can be applied to many situations, including mouse control. Preventing rodent infestations before they begin is safer and easier than getting rid of rats or mice once they’ve found their way in. Prevention is also the greenest, most natural and eco-friendly solution to rodent problems. The first thing to do is make the area less attractive to rodents. Tidy up to reduce the number of hiding places. Remove any clutter or debris. Remove food and water sources. Rodents like to hide under or behind things, and are always looking for things to chew on and use for nesting materials. Store foods in chew proof containers, preferably made of glass or metal. Fix any drips or leaks so there is no standing water. Feed pets at meal times rather than leaving dishes filled with pet food and water out at all times. The next thing to do is seal possible entry points. Use wire mesh over chimneys and dryer vents. Fill cracks in the foundation and any gaps you may find with steel wool and cover with caulk. Make sure doors and windows are fitted properly. Doing this will help you save energy and reduce your heating and cooling expenses too. Lastly, use a natural rodent repellent. Rats and mice have an extremely sensitive sense of smell. Fresh Cab® Natural Rodent Repellent uses the scent of essential oils dispersed from a pouch filled with plant fibers to overwhelm rodents senses. They would rather leave the area than experience the discomfort associated with the fresh scent. Most people, however, find the scent pleasant and outdoorsy. Making green choices means making good choices; trust the original, trust Fresh Cab. Or at least that's what you might think, the way everyone is clamoring to be eco-friendly. Concern about the impact the products we use may have on the environment and concern over the effects commercial chemicals may have on our health might influence your decision to make the switch to 'natural,' 'green,' and 'eco-friendly' products. Reducing, reusing, and recycling have never been more popular. Going green can change the way you shop, the way you eat, the way you get around, the way you clean your house, and even the way you deal with a mouse. Damages caused by rodents are rarely covered by homeowners insurance policies. Using poison to deal with a rodent problem used to be the go-to solution to this common problem. Anti-coagulants (blood thinners) such as warfarin and brodifacoum were the old standby. After decades of use, rodents began to build up an immunity to these chemicals. These "mutant rats" are causing serious problems in the United Kingdom especially. Some people are asking for permission to use stronger poisons, but that creates an increased risk to other animals such as owls that may then eat the poisoned rodents. Not to mention the eventuality that the rodents could just build up an immunity to the stronger poisons, repeating the cycle. Resorting to trapping unwanted rodents is hardly a better alternative. Although they are unlikely to develop any sort of immunity to a lethal snap trap, a sticky glue tray, or even a humane trap, none of these options keep rodents out - they only catch them once they've come in. 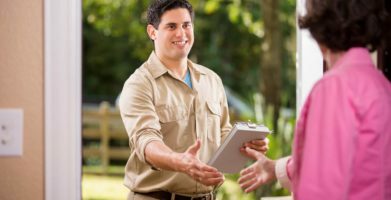 You as a homeowner are left with the job of disposing of, or releasing, the rodent after it's been caught, or paying a pest control service to do it for you. Rodents caught in humane traps need to be relocated several miles away to prevent them from returning. Snap traps do not always instantly kill a rodent, nor do glue traps. Trapped or poisoned, dead or alive, all of these methods revolve around dealing with rodents that have already made themselves a nuisance rather than preventing the problem before it begins. This sets you up for a recurring problem. These methods all require you to remove the rodent (or pay for a pest control service to do so), increasing your risk of exposure to diseases transmitted by rodents. A simple solution to a serious problem. Benjamin Franklin said, "An ounce of prevention is worth a pound of cure." Wise words like these can be applied to many situations, including mouse control. Preventing rodent infestations before they begin is safer and easier than getting rid of rats or mice once they've found their way in. Prevention is also the greenest, most natural and eco-friendly solution to rodent problems. The first thing to do is make the area less attractive to rodents. Tidy up to reduce the number of hiding places. Remove any clutter or debris. Remove food and water sources. Rodents like to hide under or behind things, and are always looking for things to chew on and use for nesting materials. Store foods in chew proof containers, preferably made of glass or metal. Fix any drips or leaks so there is no standing water. Feed pets at meal times rather than leaving dishes filled with pet food and water out at all times. The next thing to do is seal possible entry points. Use wire mesh over chimneys and dryer vents. Fill cracks in the foundation and any gaps you may find with steel wool and cover with caulk. Make sure doors and windows are fitted properly. Doing this will help you save energy and reduce your heating and cooling expenses too. Lastly, use a natural rodent repellent. Rats and mice have an extremely sensitive sense of smell. Fresh Cab® Natural Rodent Repellent uses the scent of essential oils dispersed from a pouch filled with plant fibers to overwhelm rodents senses. They would rather leave the area than experience the discomfort associated with the fresh scent. Most people, however, find the scent pleasant and outdoorsy. 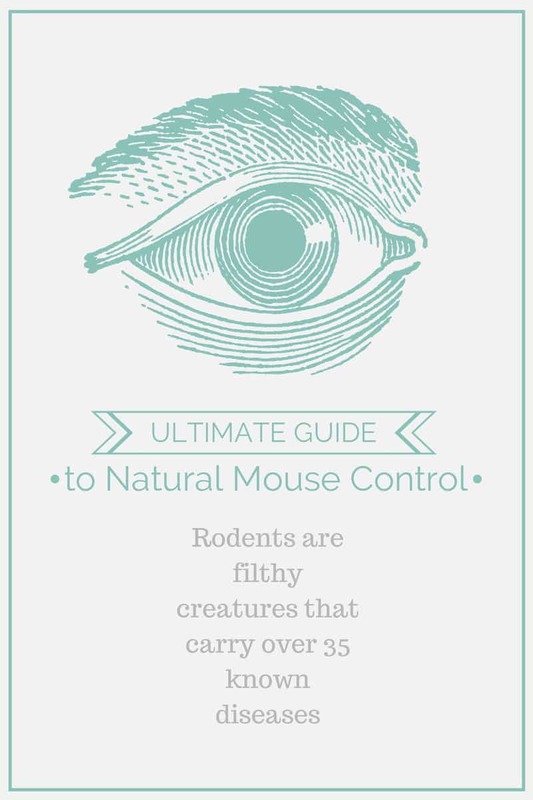 string(35) "The Ultimate Guide to Mouse Control"